FRESH CERAMICS IN THE SHOP FROM WRF LAB. 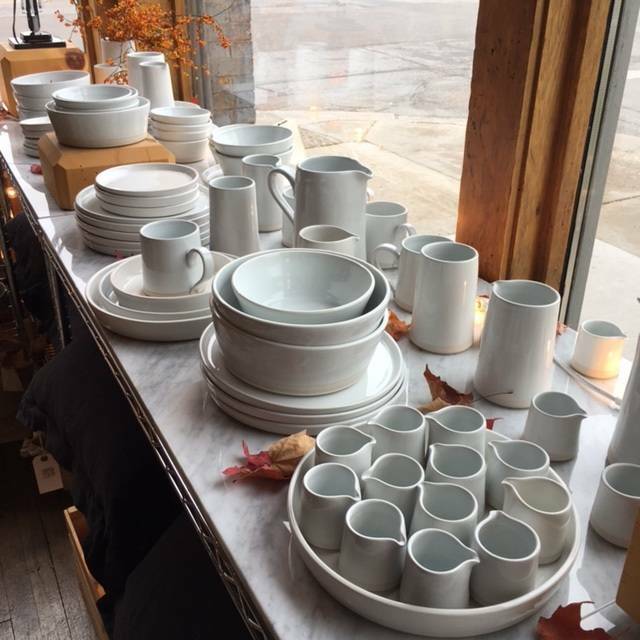 WE HAVE LOVELY NEW WHITE GLAZE BOWLS, MUGS, PLATES, PITCHERS, AND MORE. WRF LAB IS LOCATED IN SOUTHERN CALIFORNIA AND CONTRARY TO WHAT THE NAME SUGGESTS IT'S A SMALL STUDIO RUN BY ONE ARTIST. EACH ORDER IS THROWN AND GLAZED TO ORDER. YOU CAN SEE WHY WE GET SO EXCITED EVERY TIME A BOX ARRIVES!